The design of the new *Cibola Vista Resort and Spa* was inspired by the fabled Seven Cities of Cibola - the legendary cities of gold and silver that Francisco Coronado sought throughout his exploration of the American Southwest. The resort consists of seven owner's villas, or cities, each consisting of 40 two-bedroom lockout villas, with the resort's amenity core representing the seventh and final city. The resort offers modern diversions such as lavish pools as well as traditional Old West pastimes including horseback riding, hiking, and cattle-roping. Take advantage of boating, fishing, and mountain biking in the spectacular surrounding environment. 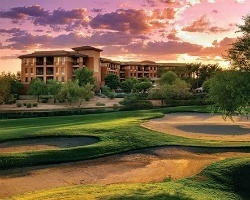 *Diamond Resorts Ridge on Sedona Golf Resort* is located in the scenic Southwest, amidst red rock and desert landscapes. Fishing, Jeep tours, and golf are known to be excellent in the area, and galleries, restaurants, shops and a health club (featuring tennis, an outdoor lap pool, volleyball, racquetball, and fitness programs) are nearby as well. 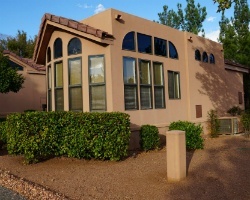 For a sunny, pleasant vacation escape, Ridge on Sedona Golf Resort is the perfect fit! 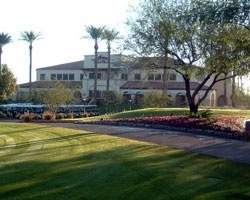 *Scottsdale Links Resort* is a golf lover's dream with over 100 championship courses within a 30-minute drive! 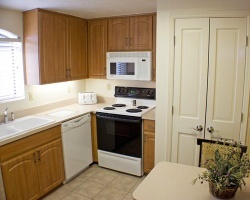 Each of the elegantly appointed suites has its own living and dining room, full kitchen, and washer/dryer set. The on-site Scottsdale Links Spa & Fitness Center features top-of-the-line fitness equipment, a steam room and whirlpool. 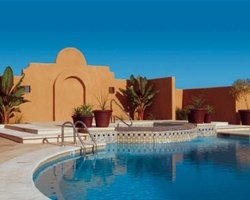 Adjacent to the fitness center is the heated lagoon-shaped swimming pool- perfect for sunbathing. Nearby are numerous restaurants, art galleries, outdoor plazas and enclosed shopping malls. Located in prestigious North Scottsdale, beautiful *Scottsdale Villa Mirage* is steps away from premium golf courses, upscale shopping, diverse restaurants, and cultural museums. 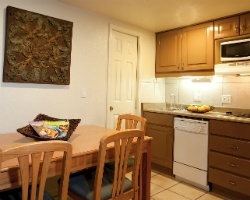 The entire family will enjoy the comfort of the apartment accommodations complete with fully equipped kitchens, fireplaces, whirlpools and in-suite washers and dryers. 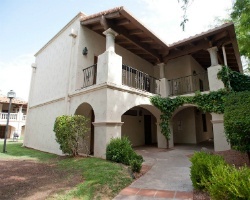 Relax and rejuvenate at the Scottsdale Villa Mirage- the perfect year round getaway! 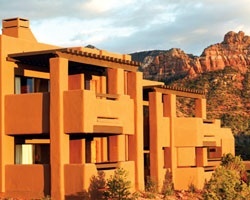 *Sedona Summit Resort* is found on Sedona's upper plateau, surrounded by both desert and mountain views. Here, guests have the option to relax by the resort's swimming pool and take in the scenery, venture out on the hiking trails, or partake in a Jeep tour to experience the full beauty of Sedona's stunning red rocks. 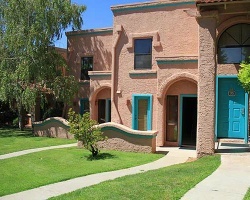 The many offerings of Sedona include diverse dining options, shopping, and the Tlaquepaque Art Village featuring an abundance of American Indian arts and crafts by the local Navajo and Hopi communities. Scottsdale is a blossoming vacation destination. Embraced by the golden crests of the sun-splashed desert on one side and the east side of Phoenix on the other. 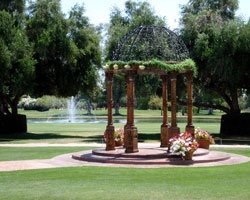 The breathtaking scenery coupled with an urban spice makes the Phoenix-Scottsdale area a most unique attraction. That mix also allows for many activities from outdoor excursions to live entertainment. Scottsdale is a haven for climbing and biking as well as a renowned golfer's paradise, while the contemporary culture provides great shopping, dining and incredible museums. If you seek fun and adventure under the sun, this is the place for you; Scottsdale is famous for having some of the best weather in the country! Home to the #1 rated public golf course in Arizona, *Villas at Gold Canyon* is the ideal destination for the golf enthusiast. 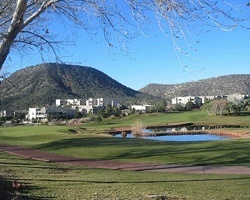 The resort encompasses two 18-hole championship golf courses, designed by Ken Kavanaugh, and the unique and spectacular Dinosaur Mountain. 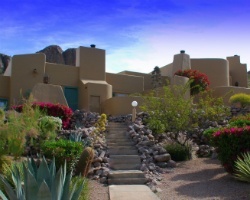 Set amount the legendary Superstition Mountains stretched along the peace and solitude of the High Sonoran Desert, Villas at Gold Canyon is the ideal vacation destination! 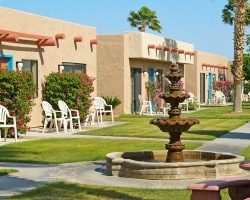 Just across from the shimmering Lake Havasu, the *Havasu Dunes Resort* is an ideal choice for vacationers who enjoy sun, water, activities, and fun! 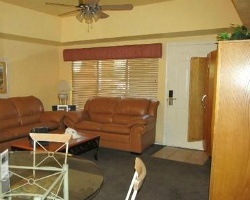 Here, the staff is friendly and the accommodations are comfortable. You will find three pristine outdoor swimming pools, three outdoor spas, a fitness facility, sauna, lounge, clubhouse, library, gas barbeque grills, laundry facilities, and bicycle rentals. 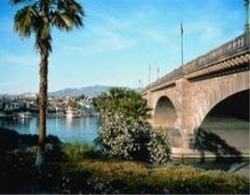 Stay busy on-site or try fishing and boating in Lake Havasu, or golf at any of the nearby golf courses. All the amenities of Los Abrigados Resort and Spa are available to you at The Inn, plus an even greater sense of privacy and seclusion in one of nine sequestered cottages. Pamper your palate with the award-winning wine lists at the Celebrity Room, prime beef at Steaks and Sticks, and fine Italian dining at Joey Bistro, then pamper the rest of you with a luxurious facial, a perfect manicure, or a trip to the eucalyptus steam room. 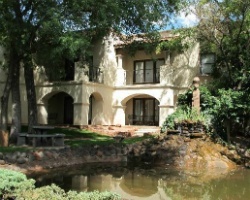 With hiking, horseback riding, jeep tours, golf, and much more, the best of exquisite seclusion in Sedona is yours at The Inn at Los Abrigados! 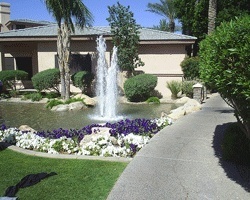 The *Legacy Golf Resort* enjoys one of the most beautiful locations in Arizona, at the base of South Mountain in Phoenix. The resort marries luxury and superb golf; with over 280 acres and an 18-hole championship golf course, guests can enjoy world-class golf as well as the beauty of the resort's 328 suites exhibiting a flair of Spanish architecture and turn of the century heritage. A pool, health club, and many more activities are available to guests, as are the nearby attractions of Phoenix and greater Arizona. For more information about this scenic, family-friendly paradise, visit www.shellvacationsclub.com. 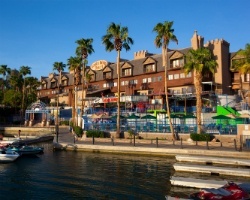 The resort is set on 110 waterfront acres adjacent to the famous London Bridge. 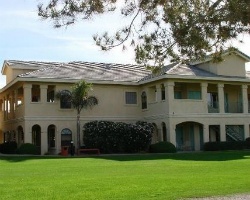 Guests enjoy convenient access to golf and rental clubs, tennis, swimming pools, spa, exercise room, varied dining options, boat slips, dancing, convention facilities, business center, wedding pavilion, private beach, and specialty shopping at the English village, with many shops, eateries, and attractions. The property features elegantly appointed one- and two-bedroom suites, each with its own kitchen, living room, and dining area. Boat and personal watercraft rentals, fishing guides, lake and desert tours, five championship golf courses, and Nevada-style gaming are nearby. 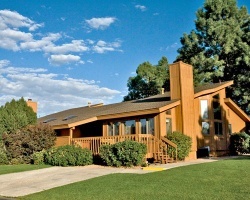 *Los Abrigados Resort and Spa* is surrounded by scenic natural beauty in the center of Sedona, Arizona! The facilities at the resort offer vacationers a playground of recreational activities to explore. 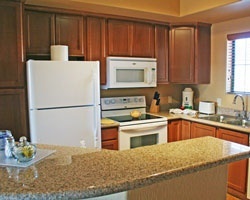 Among the amenities offered are units with fireplaces, king-sized beds, and many modern conveniences - as a result, units are all furnished with a microwave oven and a coffee maker. Guests will enjoy services offered at the on-site award-winning restaurants, the Los Abrigados Resort and Spa, and the Sedona Spa. To discover more, visit www.diamondresorts.com. This resort is located adjacent to Desert Ridge Marriott Resort and Spa and offers spacious two-bedroom villas with fully equipped kitchens. Guests can step up to the tee at Wildfire Golf Course, play tennis, or unwind at the two-level spa with 48 treatment rooms. Four acres of waterways include an adult lap pool, lazy river, and feature pool with waterfall and fire show. 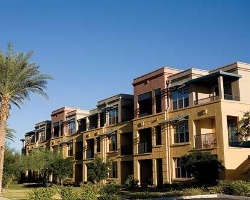 Nearby is Desert Ridge MarketPlace, a 110-acre entertainment, dining, and retail center. Visitors will also enjoy majestic views of fiery Arizona sunsets. The challenging, beautiful 18-hole golf course at Orange Tree Golf Resort is carefully maintained and an attraction in and of itself! Accommodating players of all skill levels, the golf at Orange Tree Golf Resort is superb. And the resort's country club atmosphere doesn't fall short, either! 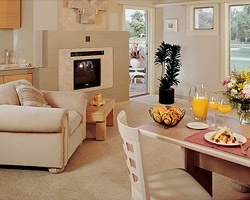 Pools, cascading waterfalls, lavish suites and fine dining are yours to enjoy at Orange Tree. And Arizona's natural beauty, nightlife and culture are also at your fingertips, with Scottsdale and the nearby Sonoran desert providing fantastic rafting and hot air ballooning opportunities. And don't forget to visit the Grand Canyon! Located close to Scottsdale's prestigious shopping and entertainment centers, The Orange Tree Interval Ownership Resort features elegantly appointed suites with huge whirlpool baths. In addition to the famous 18-hole championship golf course, the resort has a gourmet restaurant, lounge, a large pool and spa, and an exercise area. 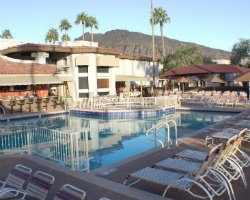 Nestled in the foothills of mystical and majestic Camelback Mountain, the *Scottsdale Camelback Resort* is a picture perfect destination. From luxuriously appointed rooms to meticulously manicured grounds and plentiful amenities, the Scottsdale Camelback Resort is the perfect place for you! 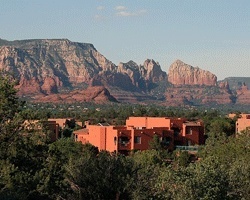 Sedona is one of the most requested vacation destinations in the RCI system! 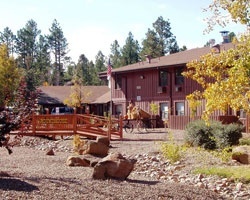 The resort is located on the western edge of Sedona on 19 beautiful acres. 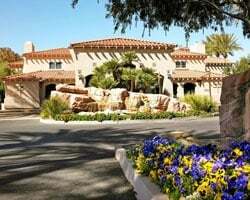 The property includes a 5 star restaurant, laundry facilities for guests, Sedona's largest heated pool, a spa, an 18 hole miniature golf course and administrative buildings. Here you'll experience a four-season playground where recreational activities abound. You will also find world class shopping and dining, and a natural environment that is one of the most unique on earth! 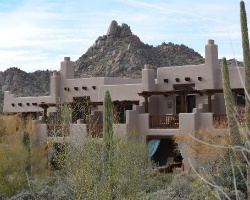 Just 40 minutes drive north of Phoenix, the *Villas of Cave Creek* is an oasis in the Arizona desert. 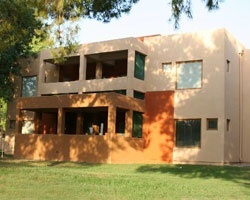 The two-bedroom, two-bath villas are appointed in rich territorial design. Each unit has it's own private terrace and spa. Nearby, guests can spend their days playing golf and tennis, shopping, or touring some of Arizona's most famous locales. Sedona is within a few hours' drive. Opportunities for biking, hiking, horseback riding, and water sports are found in Tonto National Forest and Bartlett Reservoir. 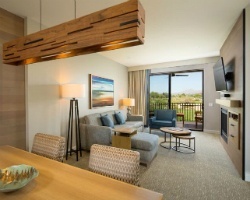 *Westin Kierland Villas* is set on 10 beautiful acres amid the 730-acre master-planned community of Kierland, 10 miles from historic downtown Scottsdale. Native American, Spanish, and Western influences blend to define unique and distinctive experiences. 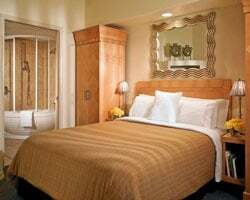 The resort reflects the earthy colors seen in the state's most famous landmark, the Grand Canyon. Relax in the solitude of the desert or with luxurious spa treatments. 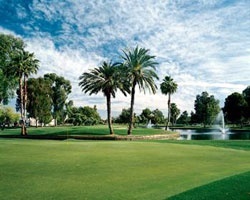 Tee-off on any of three nine-hole courses at the Troon-managed Kierland Golf Club. RIGHT ON THE WATER WHERE ALL THE ACTION IS AND RESORT HAS BOAT SLIPS FOR YOUR CONVENIENCE CONTACT OWNER FOR YOUR OWN DATES! Valentine's Day week rental! Rental is available in week 6, February 9th through February 16th, 2019! Inquire for details! Week 50 available for rent. All reasonable offers will be considered! Spring training week! March 10th - March 17th, 2019! 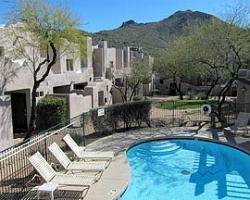 Located on JW Marriott Phoenix property with access to all of the amenities there! Luxurious Resort with Championship Golf! Tee off at the 12 acre driving range! Rental is during desirable week 50. Travel now! Golf lovers' delight! Rental available in a floating week! Book your trip today! Golf lovers' paradise! Rental in a floating week in Birdie season! Book your dream trip today! Perfect resort for a romantic or relaxing stay! Pick your week and book today! Don't miss out! Choose the dates for your next trip today! Activities available for all ages to enjoy! Enjoy all the comforts of home! Inquire today for dates available at this year round resort! 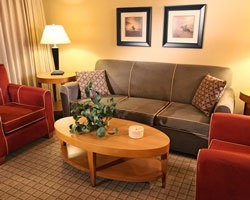 Ideal suite to bring family and friends! Inquire today for dates available! Explore this exciting year round resort! Many outdoor activities available! Secure your rental dates today! Rent week 35 in Arizona today! 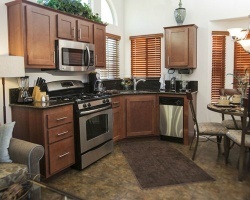 Enjoy the convenience of onsite amenities! Enjoy the flexibility of a floating platinum season week! Many nearby activities for all ages! Beautiful year round resort! Book your next trip today! Enjoy the desert, golf & shopping & dining in Scottsdale! 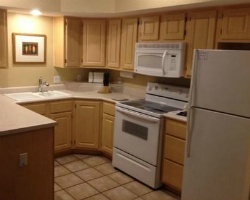 Rental available in even years in January week 2! Book your dream trip today! Rent week 27 in warm Arizona! 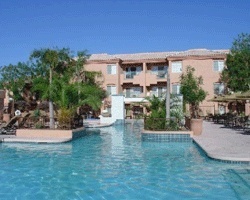 Large onsite pool to enjoy! Many onsite amenities! Rental is available during gold season week 33! Great resort for golf enthusiasts! Book a week in Arizona today! Golf enthusiasts are welcome! Book a week today! Explore endless possibilities during week 2!